Faculty and alumni participate in international effort to provide medical relief to the devastated country. Disasters often strike those who can bear it least. Shortly before 5 p.m. on Jan. 12, that is exactly what happened to Haiti, the poorest nation in the Western Hemisphere. A 7.0-magnitude earthquake struck just southwest of the capital city, Port-au-Prince, and left the country in shambles. Among the first to offer medical relief were physicians and scientists from the UF College of Medicine family. Some had a long history with the impoverished Caribbean island, and some traveled there for the first time. But like so many around the world, they felt a need to help, and so they brought their medical skills, their surgical expertise and their human compassion to the people of Haiti. Mark Atkinson, PhD ’88, takes a break while delivering care to earthquake victims. Atkinson is co-director of UF’s Diabetes Center of Excellence and an eminent scholar for diabetes research. He has traveled to Haiti since the 1990s, providing medical, dental and educational assistance, and had returned from the country less than one week before the earthquake, which killed a reported 250,000 people and left tens of thousands more injured and almost 1 million people homeless. 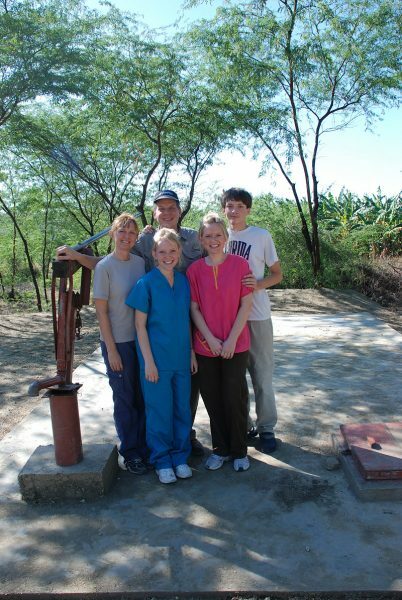 The Atkinson family in Haiti just one week before the devastating earthquake: Mark, Carol, Heather, Melanie and Phil. Atkinson and his family continue their efforts to provide medical, dental, educational and disaster relief to Haiti. In February he and his wife, Carol, organized a shipment of three 40-foot-high containers filled with a half-million servings of rice, 10,000 meals ready-to-eat, 70,000 bottles of water, and medical and building supplies they collected for construction of a new clinic, with more shipments to follow. Unlike Atkinson, Jason Rosenberg, MD ’95, had never been to Haiti before leading a team of Gainesville surgeons — all UF COM graduates — to the devastated area one week after the earthquake. He wasn’t familiar with the surprising strength of its people and certainly wasn’t prepared for the captivating spirit of their children. The team included orthopaedic surgeons Amanda Maxey, MD ’93, and Steve Waters, MD ’75; surgical technician Dale McDilda, and plastic surgeons Rosenberg and Gregory Gaines, MD, HS ’01. 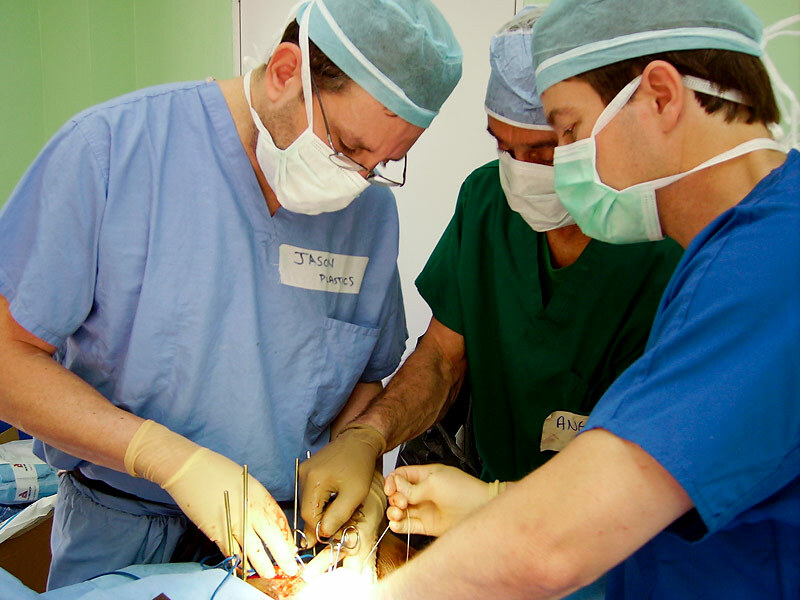 The group saw 15 to 20 surgical cases a day while on the ground at a small hospital in Jimani, just across the border from Haiti in the Dominican Republic. Jason Rosenberg, MD ’95, (far left) and Gregory Gaines, MD, HS ’01, and an unidentified physician operate on a young Haitian boy. When the team returned to Gainesville, they were treated to a red-carpet homecoming at the airport by their families and friends. As Rosenberg’s four young children clung to him, he was asked by a reporter from The Gainesville Sun what it was like to care for the children in Haiti, having small children himself. “I told her ‘the only difference between my kids and those I was helping over the past week is where God decided to put them,’” he answered. 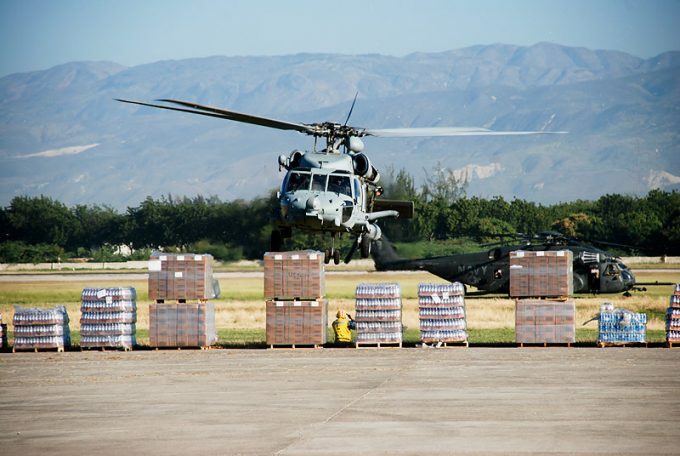 A helicopter lands at the international airport in Port-au-Prince to deliver supplies from around the world. 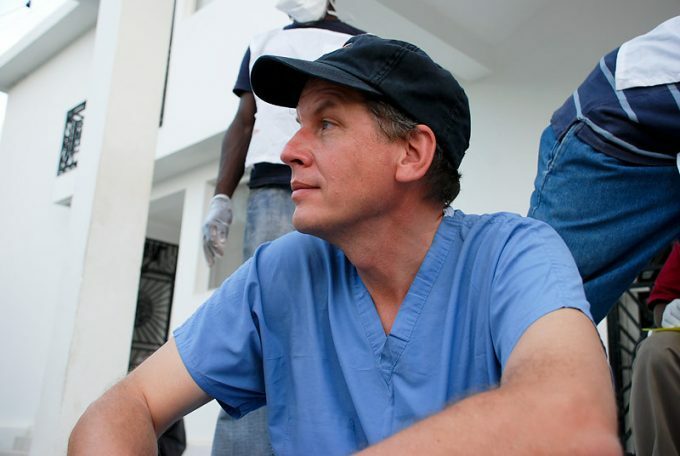 Serge Geffrard, MD ’98, who helped organize the first UF medical international trip to Haiti in 1996, and Eloise Harman, MD, a professor of medicine at UF, also traveled to Haiti after the earthquake to not only provide medical assistance but also to assess the most critical needs of the people. “Serge knows how to get things done down there,” said Harman, who has accompanied students almost every year on the Project Haiti trips. Geffrard, who was born in Haiti, is a Georgia pediatric cardiologist. Whether he is traveling to his home country or orchestrating relief efforts from his office in Stockbridge, Ga., Geffrard remains committed to helping the people of Haiti. To read Atkinson’s firsthand account of his experience, click here. As director of advancement communications for the UF College of Medicine, she oversees and coordinates the communications and marketing needs of the college, particularly in the areas of advancement and alumni relations. Dooley joined UF in 1996 as a writer for the News and Public Affairs Office. She also worked for the Institute of Food and Agricultural Sciences as a science writer before becoming editor of the College of Medicine’s alumni magazine, Florida Physician, in 1999. 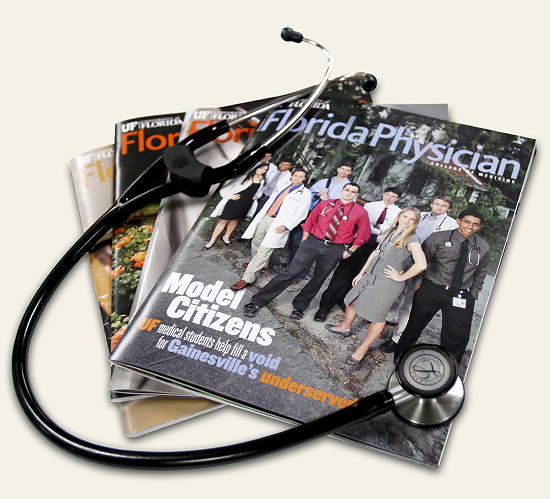 Florida Physician has received several writing, design and photography awards from the Council on the Advancement of Education, the Florida Magazine Association and the University of Florida’s Golden Gators awards. Dooley received the Robert G. Fenley Writing Award from the Association of American Medical Colleges. Dr. Joe Lezama’s gift for inspiring students, residents and patients can be traced back to his days at UF.